Nigerian actually don’t actually take things lightly at all.. I wonder there’s so much doubt in Davido selling out the O2 and there’s none during Wizkid time. Well the O2 Arena customer care just bursted your bubble if you are also doubting if Davido actually sold out the Arena. 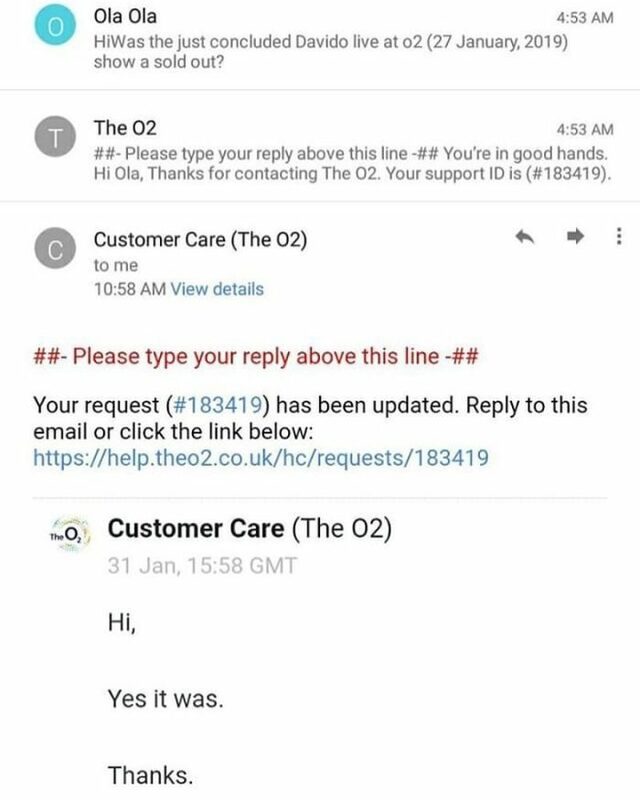 A suppose critics with the name Ola took out his time to send an inquiring mail to the O2 Management to confirm if Davido concert was actually a soldout. Fortunately he got a shocking reply from the management in no time that the hall was actually soldout during Davido‘s concert.